Oh, wow! 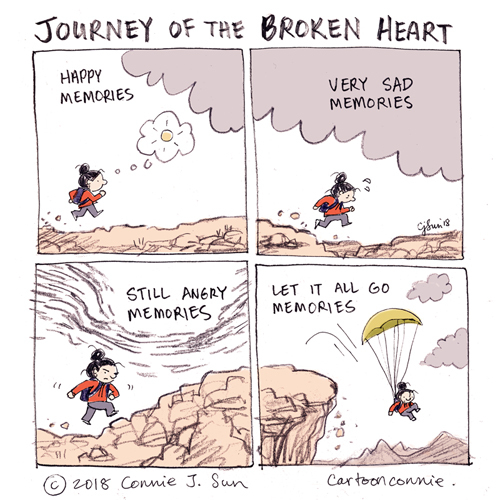 I've been struggling with memories creeping into my life the last few days... Thank you for this! It's a reminder to accept and let go... I cannot change the past and although I am also a firm believer in mourning, at some point, it's time to look around at the present and at the future. I have been dealing with this...as a kid, it is what it is or what it seems to be from where you sit, and you accept it, good or bad. For the last several months old memories have passed through and seeing them from my 50+ perspective, the meaning is entirely different. The real situation clicks into place and you realise that what you thought or felt about what happened was not all there was to it. 2015 and 2016 were some of my favourite years. 2017 broke me. 2018 I have tried to piece myself back. Wjile I have accepted the past, the memories still haunt me.